September 6, 2016  Sia is back with another powerful video starring the young, talented dancer. This time, it's for the dance-pop anthem "The Greatest." Sia Shares New Song Co-Written With Adele And Tobias Jesso Jr.
September 24, 2015  It's from This Is Acting, an upcoming collection of tunes Sia wrote for other artists. 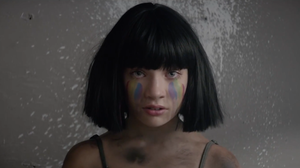 April 2, 2015  Sia's latest video once again features the 12-year old dancer Maddie Ziegler, star of the pop singer's previous (and stunning) videos for the songs "Chandelier" and "Elastic Heart." July 8, 2014  The Australian singer never intended to be a pop star, but thanks to David Guetta, she was thrust into the spotlight. Now she's accepting her new stature without bending to the whim of others. May 8, 2014  A video for Sia's new single features a mind-boggling performance from 11-year-old dancer Maddie Ziegler. The elaborate routine was choreographed by Ryan Heffington; Sia co-directed. April 21, 2008  For the work of an artist best known for the symphonic, soul-baring "Breathe Me," Sia's punchy "Buttons" seems like an odd fit. A hidden track on her new album, the hooky "Buttons" nevertheless runs the risk of defining its album in spite of itself. 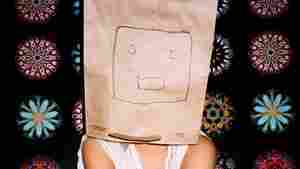 March 13, 2008  Among her fans, the Australian singer Sia is known for her powerful delivery — and her "general goofiness." As she prepared to release her new album, she visited WFUV for an interview and in-studio performance. February 15, 2008  Her music has been featured on HBO, with the band Zero 7, and in your local Starbucks. But with a new album out and a U.S. tour about to start, the singer known as Sia says she's finally beginning to hear her own voice. January 8, 2008  Test-drive the latest music releases from Sia, Marah, and Rhonda Vincent with Esquire music columnist Andy Langer. August 20, 2010  "Bring Night" finds the Australian singer coming as close as she'll probably ever come to emulating Kelly Clarkson. Driven by a guitar that keeps time with a steady simmer of percussive clicks, the song combines the hookiest aspects of Clarkson's best work.